Discussion in 'Our Music' started by Kinghtsurfer, Dec 6, 2018. In a dystopian future, an evil man called Foster has conquered the human race. It is time for his coronation and he looks for a song to glorify himself and his acolytes. One of his minions is tasked with finding an appropriate song befitting his grandiose delusions. So, the evil minion, in order to please his master omits the changeover from the root note minor key to the 4th note major key at the chorus... and evilizes the song. There isn't enough time to modify the lyrics to make them suitably oppresive... So, they go with the original words and glower angrily down upon their subjects. With flags fluttering and the common masses cowering, Foster assumes his place as ruler of the world. Later on, the minion is executed by firing squad for poor production values and having destroyed such a classic track. Thanks @au38wzh ... Yes... I did see the film... And ive been re-listening their music obsessively since I first saw the films promos... So much so that my 4 year old twins now sing this song(the original) with ardent fervour! Nice story, nice cover version. The instruments are a bit too far in the background, imho. By far in the background, do you mean in relation to the vocals? Levels too low? Yep, too low, compared to drums, bass, vocals. Btw, whose vocals are this? @KungPaoFist ... Yes, Queen is legendary ... thanks for listening! Love to hear about your twins singing Queen! Why don't you make a cover version with their voices? Great song rendition, great voice, and Great Caesar's Ghost...how do you keep up with 4 year old twins? Thank you @No Avenger ... Very nice of you! 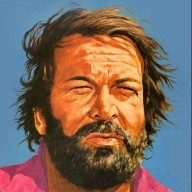 Thanks to @BudSpencer , @Hooman.Leys and @Polymetrix for the listens and the likes! Awesome voice and awesome reworking of the arrangement! Congrats, mate! Keep being bold! Classical AudioSEX. Well done ! Good work .Very personal and unique.The Ahh starting at 1:20 reminded me on Vangelis.Beautiful and energetic.